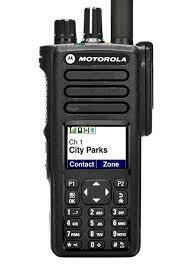 is a supplier of radio stations, Motorola's radio equipment and other leading producers in Kyrgyzstan. We specialize on the designing, delivery and commissioning of radio systems and radio equipment of varying complexity. We have reliable solutions for different customer groups. We will make selection and the calculation on supply and installation radio equipment to suit your requirements. 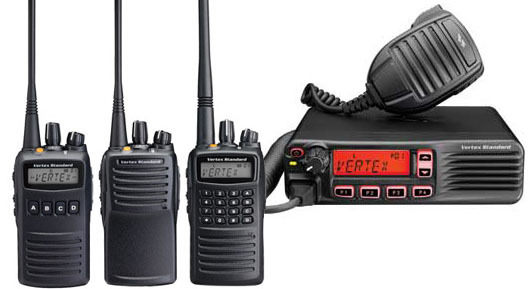 Completed projects: Supply of radio stations for MIA KR Bishkek Ambulance CJSC "Kumtor Gold Company"
Vertex Standard Company released to market a new line of digital radios Series EVX eVerge, which support standard DMR. World premiere radio EVX eVerge was in January 2013 in the U.S., and now they come in Russia and in the EMEA region. In developing new digital radio stations as a starting points were taken functionality and compact form factor of popular analog stations VX-450. So, according to developers, users maximum facilitated the transition to digital radio technology: features are added to the familiar sound quality, security of communication without the use of additional hardware for encryption, call management control, increased by 30-40% battery life. 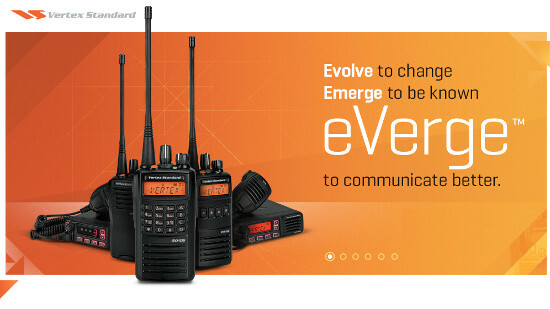 In the new line includes three EVX eVerge portable terminal EVX-530 with different sets of features and the ability to install additional boards, two transportable radio repeater EVX5300/5400 and EVX-R70. All these new devices can work digitally (via TDMA) and analog modes with support for existing customers analog radios that allow customers gradually and inexpensively upgrade to digital radio systems. As the prices for new stations, according to the company, will not differ from the price of analog products. 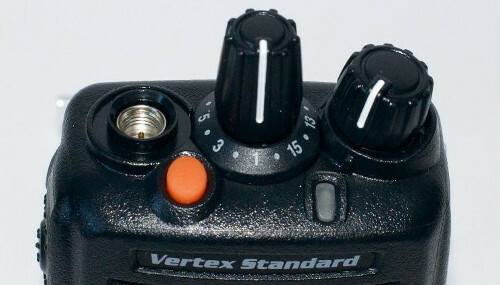 Company Vertex Standard radios with new EVX eVerge tends to occupy the mass market, which can be categorized as "slightly above the lower price range." Now the mass market uses analog equipment, and the company aims to transfer this mass clients to digital equipment. Moreover, despite the reasonable prices, Vertex insists on maintaining the traditional Japanese approach to product quality. It is this positioning should in theory open up broad prospects for the promotion of new radios in Kyrgyzstan. 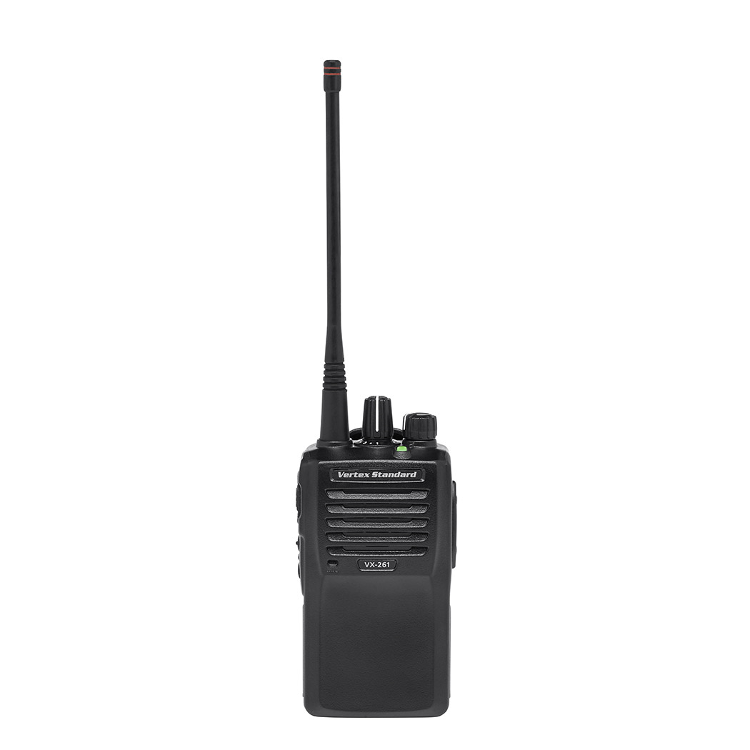 VX-260 Portable Analog Radio Series Aa new Combination of Performance and Value in portable radios. The VX-260 Portable Radio Series delivers the ideal combination of features and performance for efficiency, reliability and interoperability. 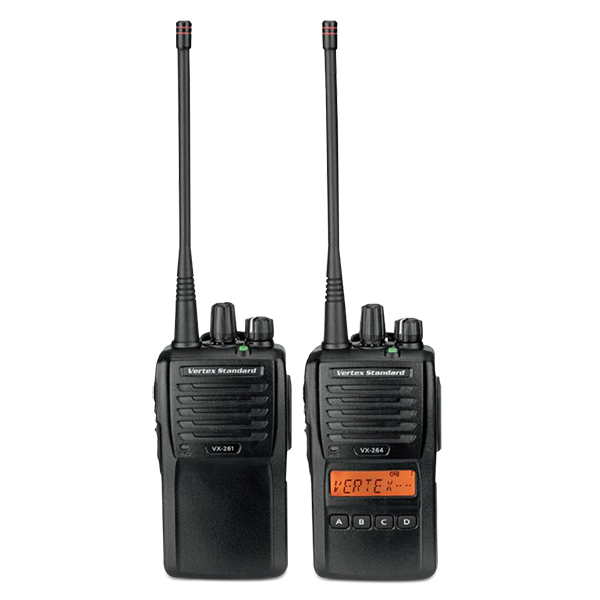 The VX-260 portable analog radio series boasts abundant signaling options such as MDC1200®, FleetSync®, DTMF, 2-tone and 5-tone capabilities, providing seamless integration into a mixed fleet. radiocommunication systems of varying complexity and training.